Sorry, this item is sold out. Have PersonalPaperHugs make something just for you, or try these other items. I'd Swallow for You. Funny Love Card. 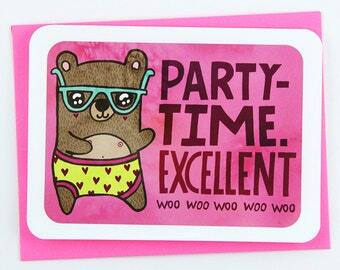 Funny Birthday Card. Funny Anniversary Card. Funny Valentine's Day Card. I Would Do Anything For You Love Card. Valentine's Day Card. Love Card. Anniversary Card. 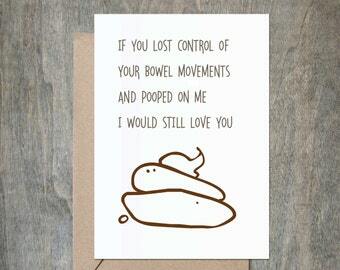 Funny Love Card. Funny Valentine Card. Poop on Me. Funny Love Card. Funny Anniversary Card. 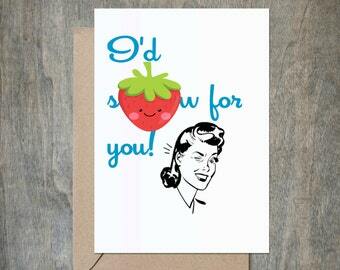 Funny Valentine's Day Card. Funny Birthday card. I Wanna Take You to Red Lobster. Funny Love Card. Funny Anniversary Card. Funny Valentine's Day Card. Funny Birthday card.